1. A nod to nautical. Save your striped pieces because they’ll be in high demand all spring and summer long. Sushmitha of Miss Minus Sized looks like she’s ready for a cool spring day in her maxi skirt and wide-brimmed hat. This dress is my definition of pastel perfection. Jillian of Rhyme & Reason paired her colorful frock with an even brighter handbag, because when it comes to pastels, more is more in the best way. I’ve never wanted to spend a day in the garden more after seeing Jennifer of Freckles on Fillmore in this outfit. 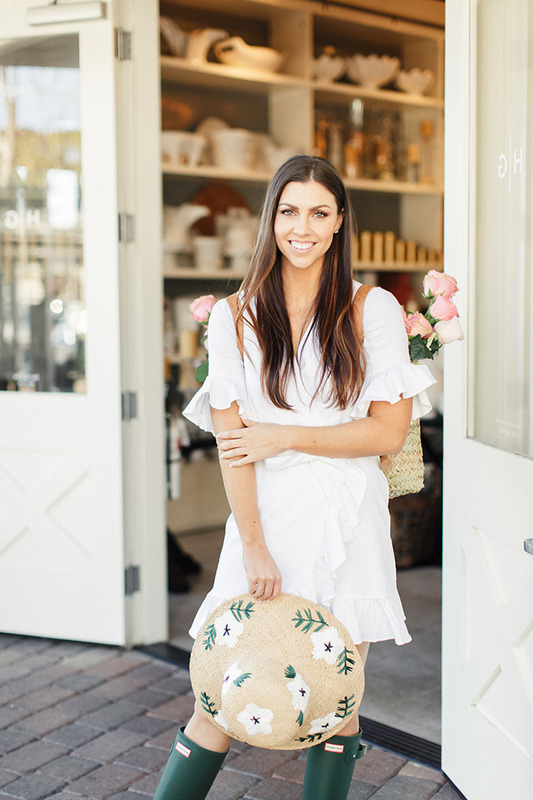 That sunhat is to die for and I just may need to pick up a market bag like hers for my next trip to the farmer’s market. 4. Here for the frills. When it comes to casual outfits, it’s all in the details. I love the bell sleeves and raw hems of Ali of A Dash of Details’ jeans. Paired with a straw handbag and matching heels, this is a chic and comfortable everyday look. I would be lying if I denied my love for a good jumpsuit this season. Sara Vickers is giving off major vacation vibes in this red number and wedge espadrilles. Plus, here’s another straw bag that I need to add to my collection ASAP. 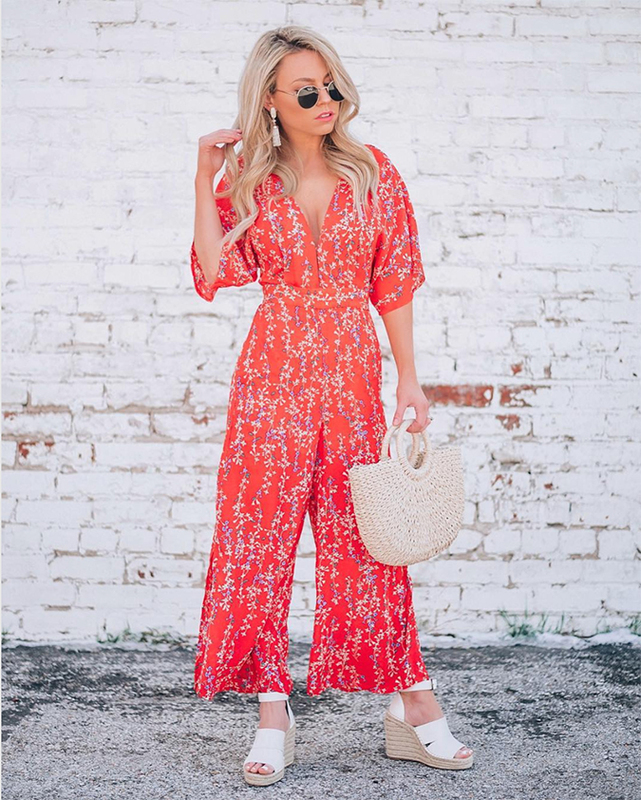 This heart bag from my LC Lauren Conrad collection is one of my favorites, and I love how Jaclyn of Jaclyn De Leon Style managed to create an entire outfit around it. I have all the heart eyes for this ensemble. 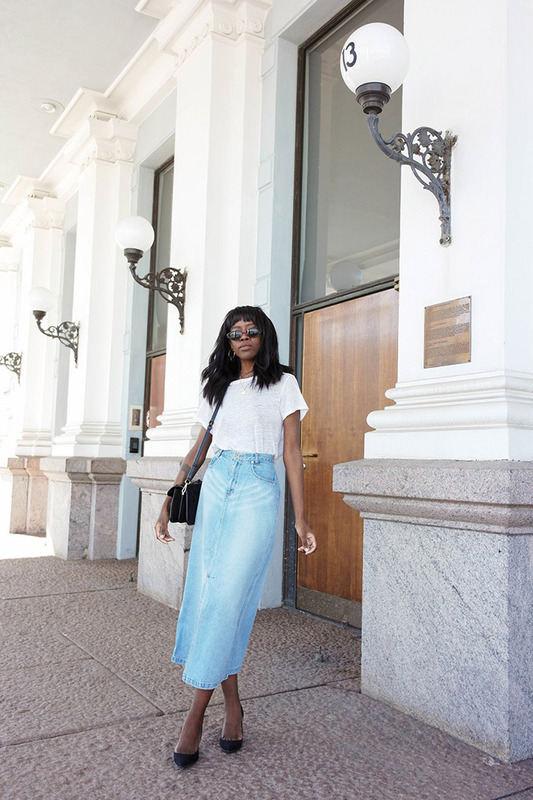 Crop tops and high-waisted pants have been on rotation in my closet lately, so naturally I gravitated toward this look on Janelle of Wait, You Need This. Gingham strikes again with this spring-inspired outfit on Abby Capalbo. Whether it’s pants, skirts, or dresses like this one, gingham sure is spring’s favorite print. Every season seems to come out with a new denim trend, and right now it’s all about the denim skirt. From mini to maxi like this one on Sylvie Mus, you really can’t go wrong. 10. White before Labor Day. An all-white look is alright by me. 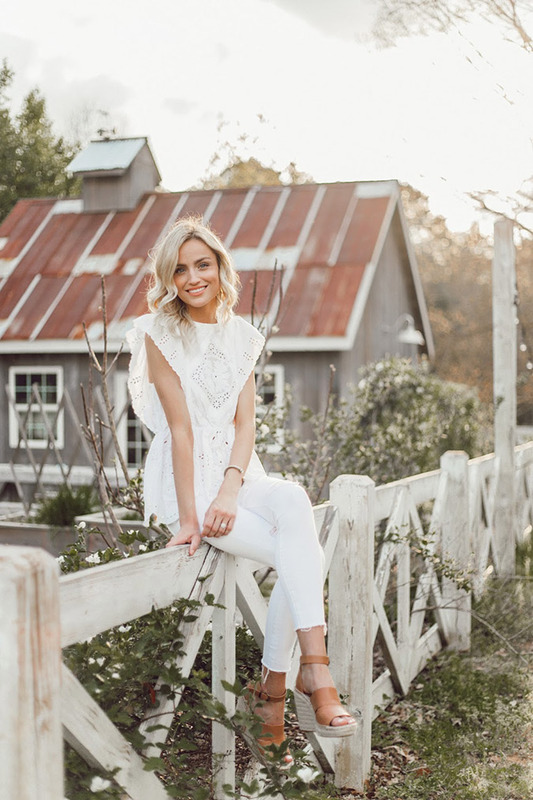 Taylor of Little Blonde Book is the definition of adorable in her eyelet top and white denim. Just add espadrilles and you’re ready to go. It’s difficult to pick a favorite when you love every single outfit featured! These ladies have some serious style. Which spring trend are you currently obsessed with?